On a cold January day, a single mother huddles on the couch with her two children, a blanket wrapped around them for warmth. The temperature in the apartment is set at 50 degrees. She’d like to turn up the heat, but she knows she can’t afford it. With the money from her minimum-wage job, she was just able to make ends meet during the summer. But now, the winter chill has sent her heating bills sky-high. And every additional dollar she spends on heating is a dollar she doesn’t have to buy groceries to feed her kids. This isn’t just a sad story – for many Americans, it’s the way they live. According to Inside Energy, economists say a family can afford to spend about 6% of its income on home energy costs and still pay its other bills. But a 2014 report from the Campaign for Home Energy Assistance (CHEA) claims that during the hottest and coldest months, energy bills for low-income families can add up to 30% of their total income. That forces many families to choose between heating their homes and paying for other needs, such as food and healthcare. The Low Income Home Energy Assistance Program, or LIHEAP, exists to help with this problem. LIHEAP provides monetary assistance to low-income households to help them pay for heating in the winter and home cooling in the summer. In turn, this reduces their risk of health problems, such as heat-related illness, and safety problems, such as fires caused by attempting to heat their homes with candles or stove burners. LIHEAP is a partnership between the Federal Government and state governments. The Federal Government funds the program, but the states are in charge of getting the money to people in need. Each state runs its own LIHEAP program and has its own rules about how the aid is distributed. Paying Energy Bills. The bulk of LIHEAP funding goes to help households pay their home energy bills. The CHEA report shows that in 2013-2014, more than 4.9 million households received help with their heating bills through LIHEAP. Another 432,000 households received help with summer cooling bills. Dealing With Crises. States must set aside some of their LIHEAP funds to help people deal with disasters that affect home heating and cooling. For example, if a major winter storm knocks out power to part of a state, the state can use LIHEAP funds to help the families in that area stay warm until the power comes back. In 2013-2014, LIHEAP helped about 1.3 million households cope with winter emergencies, while more than 101,000 households got help dealing with summer emergencies. Improving Energy Efficiency. States can use up to 10% of their LIHEAP funds to help people make their homes more energy efficient. For instance, they can use the money to add insulation or fix leaky doors and windows. Simple changes like these can help families lower their heating and cooling bills for years to come. Repairs. In some states, LIHEAP also helps people with home heating or cooling repairs. For example, a person with a broken furnace or air conditioner could get money from the state to repair or replace it. States can also pay to help people replace old, inefficient heating and cooling systems and lower their energy bills. Some states use slightly different names for their LIHEAP programs. For instance, Colorado calls its program the Low-Income Energy Assistance Program, or LEAP. However, it is still part of the federal LIHEAP program and receives its funding from federal taxes. In addition, some states have other programs to help low-income consumers with energy bills. Examples include California Alternate Rates for Energy (CARE) and the Universal Service Fund (USF) in New Jersey. These programs are not part of LIHEAP and are not federally funded. According to the CHEA report, the Federal Government spent a total of $3.43 billion to fund LIHEAP in 2013-2014. This money helped approximately 6.9 million households with heating and cooling costs. Most LIHEAP aid goes to America’s poorest families. The CHEA report says more than 80% of the families helped by LIHEAP are at or below the federal poverty level. These include the working poor, who struggle to make ends meet on low wages, and people making the transition from welfare to work. LIHEAP aid also helps those who can’t earn money to help themselves. More than 75% of all households receiving aid have at least one member who is a child, elderly, or disabled. Even though millions of families now receive aid through LIHEAP, many millions more are turned away due to lack of funding. According to Inside Energy, only 22% of the families who qualify for LIHEAP aid actually get it. Under the rules of the LIHEAP program, states with limited money to spend must focus on getting aid to the families that need it most. This includes the families that are paying the highest share of their income for energy costs and the ones who are at highest risk for health problems. The LIHEAP program is designed to help low-income households. However, the definition of “low-income” varies widely from state to state. To deal with these differences, states can use several different methods to decide who’s eligible for LIHEAP aid. The main test for LIHEAP eligibility is the federal poverty level. That is, a household can qualify based on how its income compares to the poverty level set by the Federal Government for its home state. However, some states have other rules for LIHEAP eligibility. These can be based on the median (middle) income in the state or on other tests, such as which other forms of aid a family receives. Under federal law, a household can qualify for LIHEAP if its income is no higher than 150% of the federal poverty level for their home state. As of 2016, the poverty level for most states is $24,250 for a family of four. Thus, a family of four can get aid if its income is at or below $36,375. However, Alaska and Hawaii are exceptions to this rule. Because it’s so expensive to live in these states, the Federal Government has given them a higher cutoff for poverty level. The poverty level for a family of four is $30,320 in Alaska and $27,890 in Hawaii. Thus, in those states, the qualifying income for LIHEAP is higher as well. Although the federal cutoff for LIHEAP is 150% of the poverty level, a state can choose to set its own limit for LIHEAP eligibility at a lower level. However, this limit can’t be below 110% of the federal poverty level. In states that follow this rule, a family of four would need an income of $26,675 or less to qualify for LIHEAP. This chart from the Department of Health and Human Services shows the federal poverty level for households of different sizes. It also lists the upper and lower limits for LIHEAP aid. If your household income is lower than 110% of the poverty level, then you definitely qualify for LIHEAP, no matter where you live. However, if your household income is greater than this number, then whether you qualify for LIHEAP depends on the rules for your particular state. You can find out what these are by clicking your state on this CHEA map – or you can contact your state LIHEAP office directly, as discussed below. In some states, incomes are much higher than the national average. For example, this chart from the Federal Register shows that the average income for a family of four in New Jersey is $105,700 as of 2016. However, this higher income also comes with a higher cost of living. So in New Jersey, a family with an income of $37,000 – which is higher than 150% of the poverty line – could still have trouble making ends meet. These high-income states are allowed to set their upper limit for LIHEAP aid as high as 60% of the state median income. Thus, New Jersey could legally extend aid to a family of four with an annual income up to $63,420. A state can only use this method if 60% of its median income is higher than 150% of the federal poverty level. However, a state that could legally set its LIHEAP cutoff at 60% of the median income doesn’t actually have to make it this high. Some high-income states choose to set the cutoff at a level that’s higher than 150% of the federal poverty line, but lower than 60% of the median state income. For instance, in New Jersey, a family of four can receive aid if its income is no higher than $48,400 – 200% of the federal poverty level. As of 2016, 23 U.S. states use this rule to set their LIHEAP limits at more than 150% of the poverty level. Another 16 states have set the cutoff at exactly 150% of the poverty level, and the rest have a limit between 110% and 150% of the poverty level. You can consult the map on the CHEA site to find out what the rules are in your state. Temporary Aid to Needy Families (TANF). This is the program most often referred to as “welfare.” It provides aid to poor families so children can stay with their parents, while also helping the parents prepare for work. Supplemental Security Income (SSI). The SSI program provides extra income to low-income people who are elderly, blind, or disabled. It’s not the same as Social Security, but it is run by the Social Security Administration. Supplemental Nutrition Assistance Program (SNAP). SNAP is the program formerly known as food stamps. It provides money to people with low incomes to buy groceries. Certain Veteran Benefits Programs. People can also qualify for LIHEAP if they receive certain types of veterans’ benefits. This rule applies only to programs that are needs-tested – that is, limited to veterans with low incomes. These rules determine which people are allowed to receive LIHEAP aid under federal law. However, states can set stricter limits on their LIHEAP programs if they choose. Since each state’s requirements are different, the best way to find out whether you meet the rules for your state is to contact your state LIHEAP office. You can find the office for your state or territory through the Office of Community Services (OCS). You can also use the map on the CHEA site to learn about your state’s rules for LIHEAP and about other programs designed to help consumers in your state with energy bills. What Kind of Help You Need. In many states, LIHEAP provides help only with heating bills, so families can’t get aid for cooling at all. Some states also limit the aid to a family’s main heating source. For instance, a family with a gas furnace can get help with its gas bill but not with its electric bill, even if it also uses electric space heaters. Your Energy Burden. This is the percentage of your income you spend on heating and cooling bills. Households that have the lowest income and the highest bills get the biggest benefits. The state also takes your family size into account, since that affects your energy needs. Where You Live. Some states offer larger LIHEAP payments than others. Each state has only a limited amount to give and many households in need of help. The more needy households there are and the more energy costs in the area, the less money each household will get. Unfortunately, there is no fixed rule to determine how much aid you can get from LIHEAP before you apply. LIHEAP doesn’t simply reduce your energy rates by a certain amount, or refund a specific percentage of your bill. Instead, each household gets a different payment based on its particular circumstances. When you apply, the state LIHEAP office will ask a lot of questions about your situation, including your income, your energy costs, and your family size. All of these will factor into the size of the benefit you eventually get. However, you can make a guess at what your benefit is likely to be based on the average for your state. The LIHEAP Annual Report to Congress for Fiscal Year 2010 – the most recent year that’s available online – shows how the average LIHEAP benefit varied from state to state. The average annual heating benefit ranged from just $90 in steamy Mississippi to $2,612 in frigid Alaska. The state with the highest annual cooling benefit was Texas, with an average of $916 – nearly as much as its $999 average for heating. 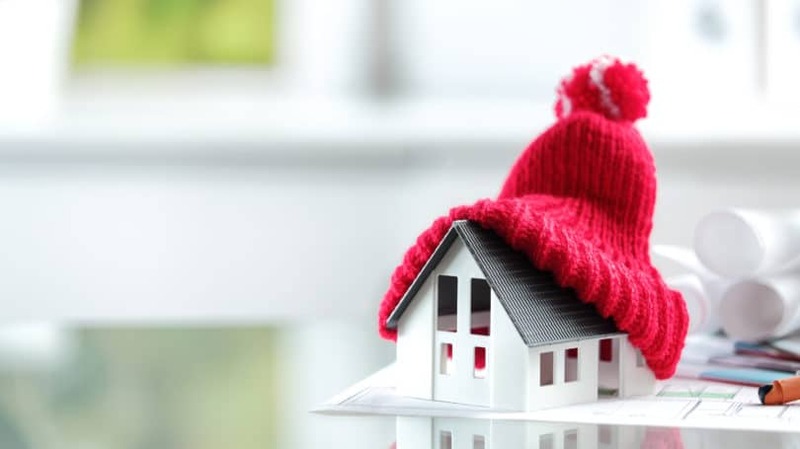 In most cases, winter heating benefits were higher than cooling benefits. More than half the states on the list paid no cooling benefits at all. However, a few states actually spent more on cooling than they did on heating. These include Louisiana, Florida, and, surprisingly, New York, which paid out an average of $791 for cooling and only $277 for heating. Each state has its own LIHEAP program, and each program has its own rules. What it takes to qualify for LIHEAP, when you can apply, and how to apply all depend on where you live. If you want to sign up for the program, you need to contact your local LIHEAP office, where a representative can explain to you how to apply and what to do if you’re denied. In some cases, you can also get information about LIHEAP through your local energy provider. Call the National Energy Assistance Referral (NEAR) Hotline at 1-866-674-6327. The service is open Monday through Friday, from 7am to 5pm Mountain Time. Contact your state LIHEAP office via the OCS. The state office oversees all the local offices. If you are a member of a Native American tribe, you can find your LIHEAP tribal contact through a different page on the OCS website. Once you contact your local office, you can find out how to submit an application for LIHEAP. In some states, you can apply online, while in others you must send in a form or apply in person. Even if you meet all the requirements, there is no guarantee the state will approve your LIHEAP application. Funding is limited, and the state can’t help everyone. However, if you think your application has been wrongly denied, you can appeal the decision. The process for doing this should be outlined in the denial notice you receive. If it isn’t, you can contact the main LIHEAP office for your state, territory, or tribe for information regarding the appeals process. If the state approves your application, you will receive a payment to cover a portion of your energy bills for the year. In some cases, the state sends the payment directly to your utility company and it shows up as a credit on your bill. In other cases, you get a check that you can use to pay for fuel. The money that you receive from LIHEAP is a one-time payment. If you would like to receive LIHEAP benefits again the following year, you must submit another application. Unfortunately, being approved once is no guarantee that you will be approved in future years. If your income, energy bills, or family situation changes, you may no longer qualify for aid – and even if your situation has not changed, you could still be rejected because the state has too many applicants and not enough funds to go around. LIHEAP is the largest program that helps people with their heating and cooling bills, but it isn’t the only one. So even if you don’t qualify for LIHEAP, your local LIHEAP office may be able to help you find other resources for assistance. For example, some states have government programs to help make energy bills more affordable for low- to moderate-income consumers who make too much money to qualify for LIHEAP. There are also special programs that provide credits for consumers who are elderly or disabled. Your LIHEAP office can also help you find special discounts available through your utility company or through charities. If your LIHEAP office doesn’t have this information, there are other places to try. The NEAR hotline can help you figure out which kinds of energy assistance are available in your area. You can also contact your local Low-Income Energy Office, which you can find through LIHEAP Clearinghouse. Have you ever used LIHEAP benefits? If so, what was the experience like for you?